KVS Admissions Schedule, Admission Guidelines 2019-2020 on kvsangathan.nic.in: Kendriya Vidyalaya Sangathan, KVS has released the schedule for the KVS Admissions 2019 for the 2019-20 academic session on kvsangathan.nic.in. The online registration process would commence from March 1, 2019. Interested candidates and their parents can register themselves for the admission process through the official site of KVS at kvsangathan.nic.in. Kendriya Vidyalaya Sangathan Admissions 2019-2020: Online Registration for Admission to Class I in Kendriya Vidyalaya for the Academic Year 2019-2020 will commence from 01.03.2019 at 8:00 AM to 19.03.2019 upto 4:00 PM and for Class II and above from 02.04.2019 at 8:00 AM to 09.04.2019 upto 4:00 PM. The Admission details can be obtained at http://kvadmissiononline2019.in. Registration for Class II and above except Class XI will be done only if Vacancies exist. For Class XI, application forms will be issued immediately after the declaration of Class X results, subject to availability of Vacancies in the Vidyalayas Reckoning of age for all Classes shall be as on 31.03.2019. Reservation of seats will be as per KVS Admission Guidelines available on the website (www.kvsangathan.nic.in). For further details, parents may contact the Principal of nearby Kendriya Vidyalaya. Below is the Admission Schedule for the session 2019-20 in a table format. The official notice states, “The list of children registered, list of eligible children, category wise list of provisionally selected children, waiting list and subsequent lists to be compulsorily displayed on the wb-site of the Kendriya Vidyalayas concerned, in addition to display on School’s Notice Board.” Further if any of the day is a public holiday, then the nest working day will be treated as opening/closing day. KVS admission 2019: Kendriya Vidyalaya Sangathan will release the admission form in the last week of February. Students can download the notification from the official website www.kvsangathan.nic.in. In case sufficient applications are not received under the RTE provisions, that is 25 percent seats for candidates from weaker sections and disadvantaged groups from the neighbourhoods, there could also be extended date for second notification. KVS registration for Class 2: The registration of class 2 onwards (except class 11) is subject to availability of vacancies in a particular class. It will start on April 2 from 8 am onwards and will close on April 9. The list will release on April 12. The admission will begin from April 12 to April 20. The admission will start within 10 days after result declaration. Age limit: Students ought to be 5 years of age as on March 31, 2019 for admission to Class 1. Students born on April 1 would also be considered for admission. As for the priority, please note that different category children get different priority based on the fact if the KV you are applying to falls under Civil or Defence sector or PSU’s/ Institute of Higher Learning. 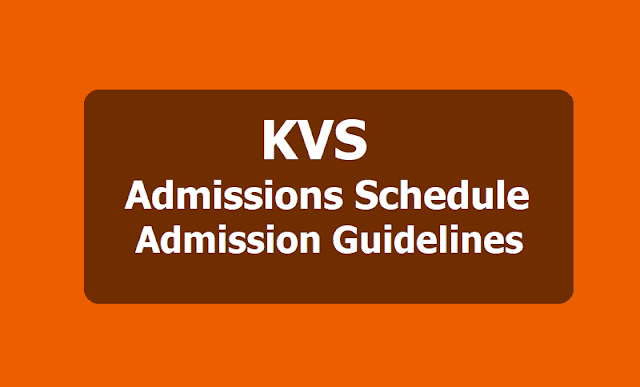 The complete list of priority is available under the KVS Admission 2019 Guidelines here. # The registration will begin from March 1 and will close on March 19.